The controversial backstop, designed to eliminate the need for a hard border in Ireland, continues to be the major sticking point in the Brexit negotiations. Some of the MPs who have rejected Theresa May's Brexit deal say they have not been convinced by the arguments that the arrangement would only ever be temporary. 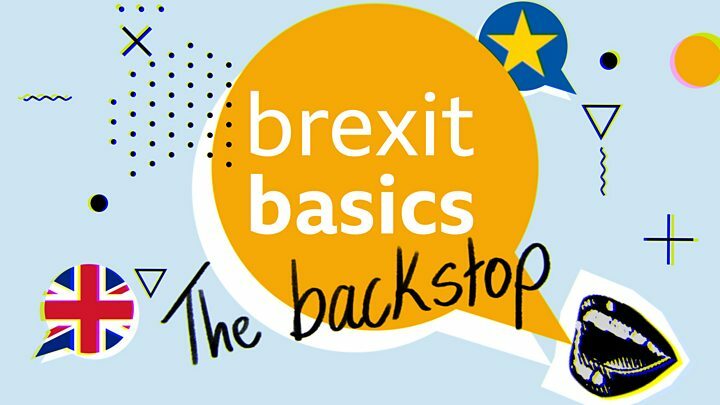 They believe that alternative arrangements, such as technological solutions, would eliminate the need for a backstop in the first place. So how viable is this? The backstop is an "insurance policy" - designed to avoid a hard border "under all circumstances" between Northern Ireland and the Irish Republic. At the main border crossing, at Svinesund, Norwegian customs says, it processes about 1,300 lorries every day - and each one takes about 20 minutes. "We looked at every border on this Earth, every border the EU has with a third country - there's simply no way you can do away with checks and controls," she said following the vote in the UK Parliament. 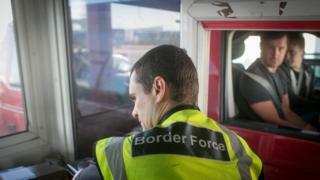 And some worry that any new checks - even ones away from the border - could create tensions. So what about another "alternative" - simply time limiting the backstop so that it automatically ends? Another suggestion is for the UK to have the right to withdraw from the backstop without EU agreement - a so-called "unilateral exit mechanism". So, at the moment it looks as if there are no easy solutions - especially one that would be acceptable to the EU, the UK government and the majority of MPs.